Many believers ignore the power there is in the blood that Jesus shed. For this reason, they cannot lead a victorious Christian life. 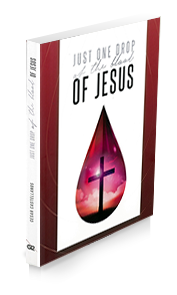 Just One Drop of the Blood of Jesus explains in a practical way the power of the seven outpourings of the blood of Jesus. It also includes simple prayer guides for every believer who desires to see the power of God in their lives. Just one drop of His blood has the power to give us complete victory!